better. 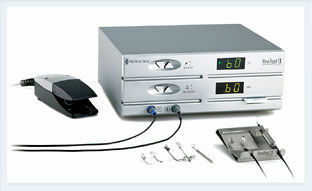 Traditionally, physicians using CK compressed the cornea as radiofrequency energy was delivered. A centration feature makes it easy to place the OptiPoint Corneal Template on the eye. The ViewPoint® CK System is compact and portable, so the procedure can be performed in your office. it's an affordable addition to your successful practice.